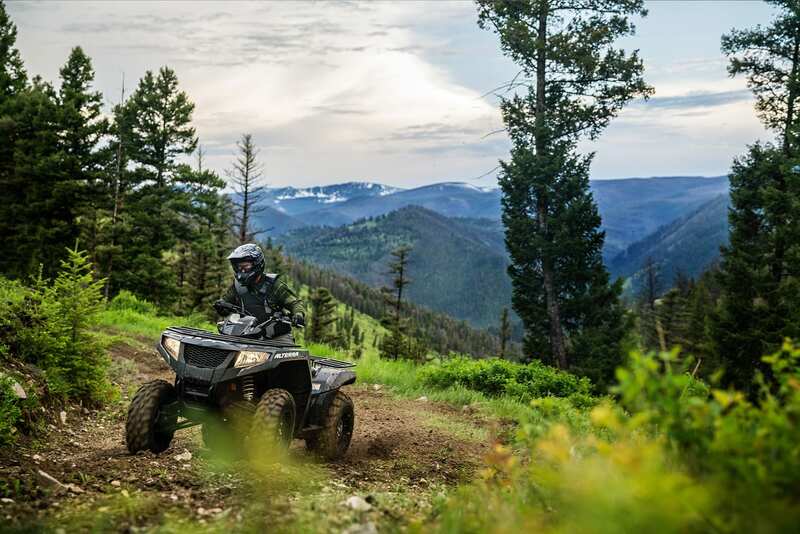 Textron Specialized Vehicles Inc., a Textron Inc. (NYSE: TXT) company, announced new Textron Off Road ATVs for the 2019 model year, led by the new Alterra™ 570 ATV. The 2019 lineup also includes an updated Alterra 700 line powered by the new Textron Motors 700 engine for greater power and performance. New for 2019, the new Textron Off Road Alterra 570 ATV lineup introduces three new machines — Alterra 570, 570 EPS and 570 XT — into the 500 class that is the heart of the ATV sector. 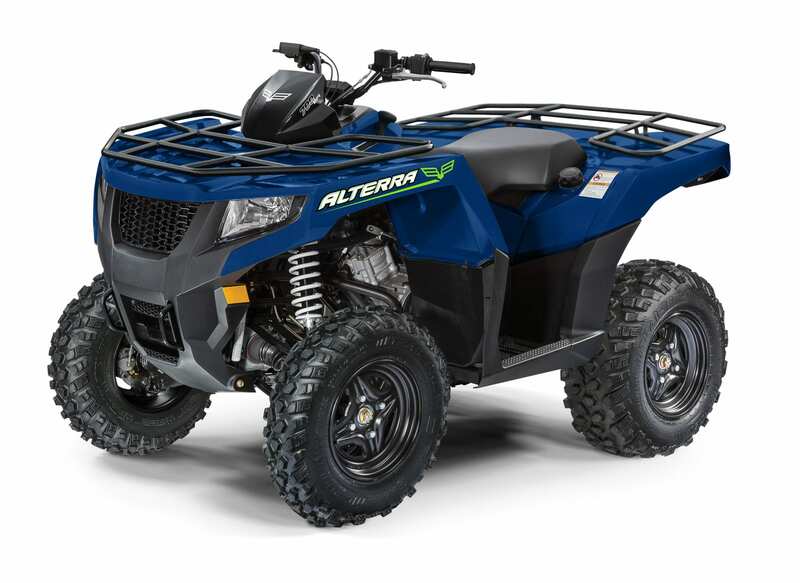 Perfect for trail riding, farm work and everything in-between, the vehicles are similar to their higher-powered family member, the Alterra 700, offering the same attractive styling and class-leading suspension travel. 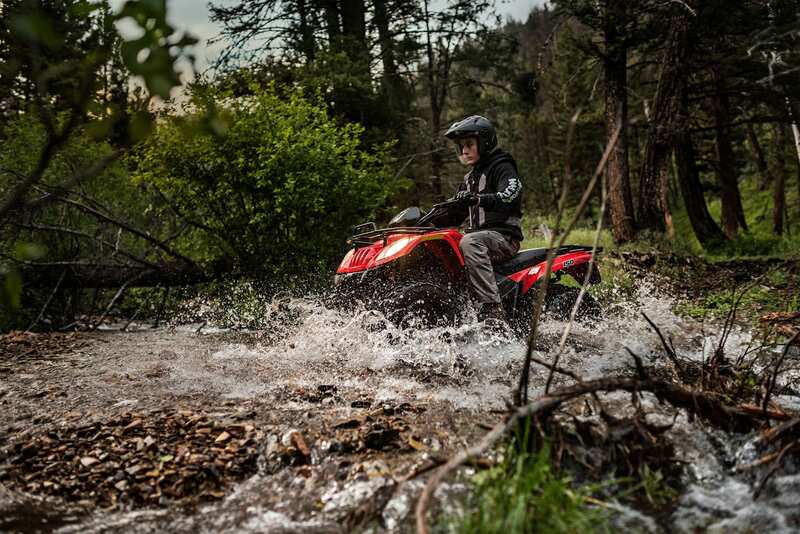 Powering the Alterra 570 models is a 545cc, single-cylinder, closed-loop EFI engine that offers plenty of power to cruise down the trails and get tough jobs done. The Alterra 570’s class-leading 10 inches of front and rear suspension travel, 11 inches of ground clearance, and five-position adjustable front and rear springs provide exceptional ride quality, comfort and ergonomics. Operators also will appreciate the Rapid Traction System (RTS) on the 570 Base and EPS models, and the Electronic Locking 4WD (EL4) on the 570 XT model. Located on the right handlebar for easy use, the RTS and EL4 technologies enable the rider to activate 4WD while the vehicle is in motion. 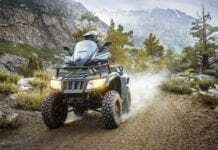 The systems enable operators to easily switch from 2WD to 4WD while keeping both hands on the handlebars. In addition, the XT model’s EL4 system is electronically controlled, giving the operator the ability to switch on-the-fly between 2WD,4WD and 4WD lock, for ultimate versatility in all different types of driving conditions. For towing and hauling, the models are equipped with a 2-inch receiver hitch and rugged, steel racks with unlimited tie-down locations. To ensure reliable operation, the battery is located under the seat for protection from mud and debris. 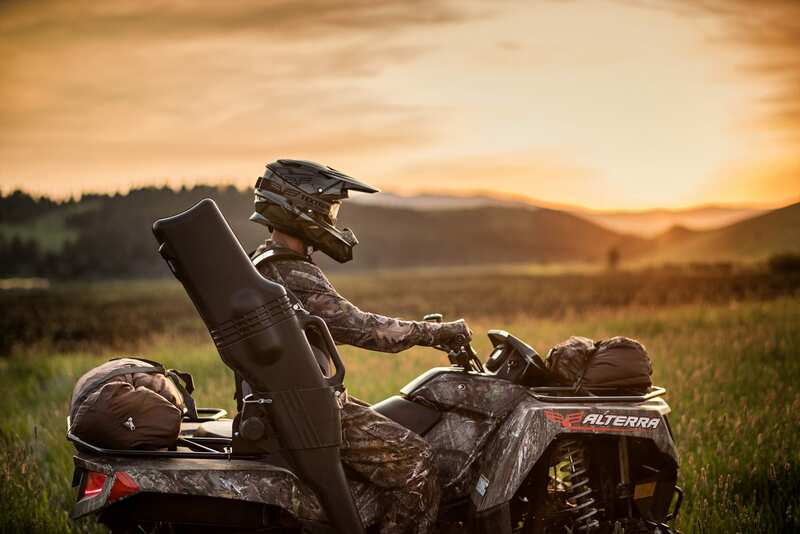 The Alterra 570 is available in Dynamic Gray, and the electronic power steering (EPS) version is available in Dynamic Charcoal and TrueTimber® Kanati Camo. 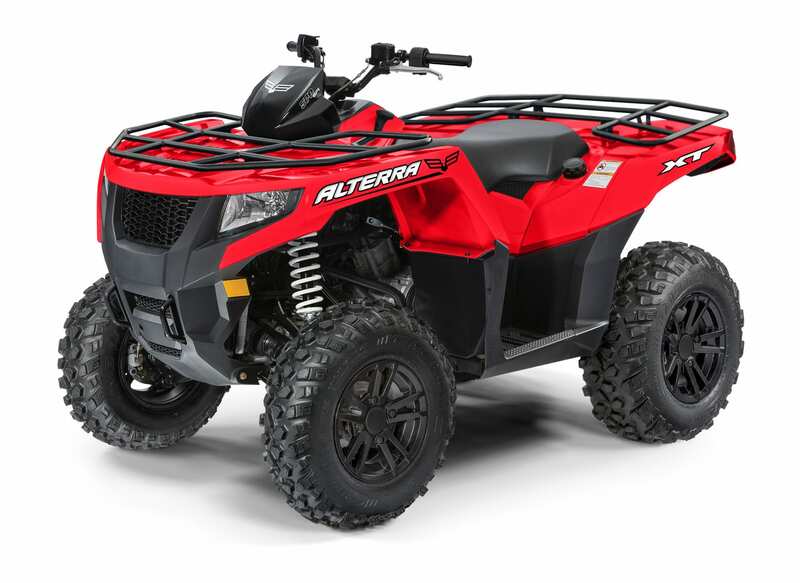 The Alterra 570 XT is available in Fire Red and features EL4 and aluminum wheels. These models are sold with a one-year warranty. 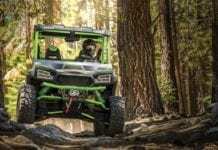 For increased performance and reduced weight, the 2019 Alterra 700 vehicle lineup now boasts an updated Textron Motors 700 engine that is 1.7 inches narrower and 12.4 pounds lighter than previous models, so the vehicles can accelerate harder, stop faster, corner better, land smoother, and climb quicker. This was accomplished by reducing the engine’s rotational mass by 30 percent. The reduced rotational mass provides a better throttle response and a faster-revving engine for quicker acceleration. The addition of a new camshaft grind also improves throttle response and stability and emissions while idling and provides increased low/mid-range torque for better overall performance. A newly designed, patented CVT cover not only reduces weight, but improves drive belt cooling and provides less heat and sound transfer for a more comfortable rider experience. To get the engine’s power to the ground more efficiently, the Alterra 700 vehicle lineup has a new direct-driven clutch with improved clutch calibration for faster back shifting on acceleration. With no wet clutch friction materials to contaminate engine oil, the new driveline not only offers better performance, but more durability. The Textron Motors 700 engine is available in the Alterra 700, 700 XT and new Alterra 700 EPS. For 2019, the Alterra 700 is offered in Dynamic Gray; the Alterra 700 XT in Fire Red, and the new 700 EPS in Earth Blue and TrueTimber Kanati Camo. Further rounding out Textron Off Road’s ATV line in the 700 class is the reimagined Alterra TRV 700. Designed and tested for tandem riding, the new, two-person Alterra TRV 700 has an extended frame, longer wheel base and heavy-duty sway bar, so it can comfortably accommodate two people. Hand holds in four unique locations ensure passenger stability and confidence in different riding situations. For added versatility, the vehicle features a quickly removable seat and optional dump box. Whether carrying a passenger or hauling extra cargo, the Alterra TRV 700’s standard EPS ensures easy maneuverability. The Alterra TRV 700 is available in Fire Red with aluminum wheels. In addition to the Alterra 570 and 700 models detailed above, the Textron Off Road Alterra 300, 700, 700 XT, MudPro 700 LTD and TBX 700 models continue to be available. Youth vehicles include the Alterra 90, Alterra DVX 90 and Alterra 150. All models have been refreshed with new graphics packages. 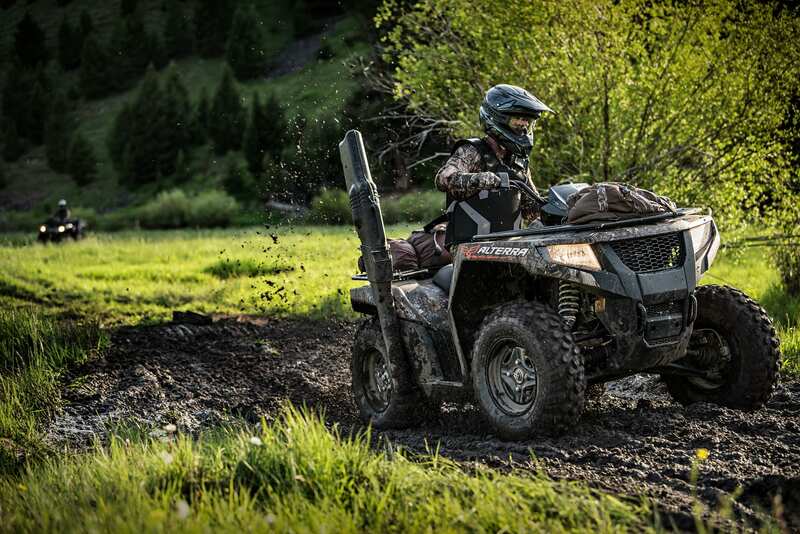 Textron Off Road Alterra 570 and 700 ATVs are built in Thief River Falls, Minn., and 2019 models will arrive in dealerships throughout the fall. 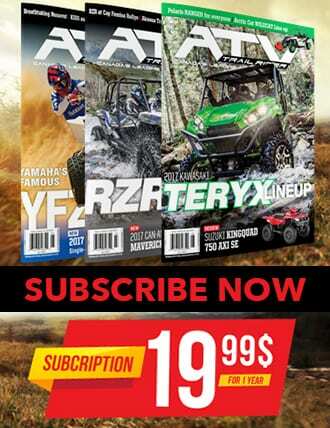 For more information, visit a local Textron Off Road authorized dealer, go to TextronOffRoad.com or join the conversation on Textron Off Road’s Facebook, Twitter, YouTube and Instagram accounts. To learn more about the complete lineup of Textron Off Road ATVs and side-by-sides, visit textronoffroad.com.